Step into a Best Buy on a Saturday afternoon and you’re likely to see something familiar; a confused consumer wandering through computers and tablets, trying desperately to check prices and features without attracting the attention of the sales rep staring at his cash register. There are so many options, from so many manufacturers; ASUS, Acer, Apple, Dell, Toshiba, Sony and, yes, even Microsoft. If the appearance of self-branded Windows hardware has earned the Surface any extra attention, it certainly hasn’t shown in sales figures. Microsoft’s recent $900 million write-off of Surface inventory proved the that people don’t value Microsoft’s brand name more than anyone else. Microsoft is just another brand. Redmond’s executives aren’t known for quitting, however, so they’ve launched the Surface 2 and Surface 2 Pro. They’ll appear on store shelves almost exactly a year after the originals, and make many improvements; quicker processors, better battery life, improved displays. But are they good enough to grab the wandering consumer’s interest, or will they continue to pass up Surface in favor of iPads and convertible laptop PCs? Predictably, the Surface Pro 2 has Intel’s new Haswell architecture, and with that comes a slew of performance claims. The new version improves processor and graphics performance by 20 and 50 percent, respectively, which leads to Microsoft’s claim the Pro 2 is “faster than 95 percent of laptops on the market today.” We can’t help but raise an eyebrow at that statement, but whether it’s true or not, performance clearly remains central to Microsoft’s pitch. 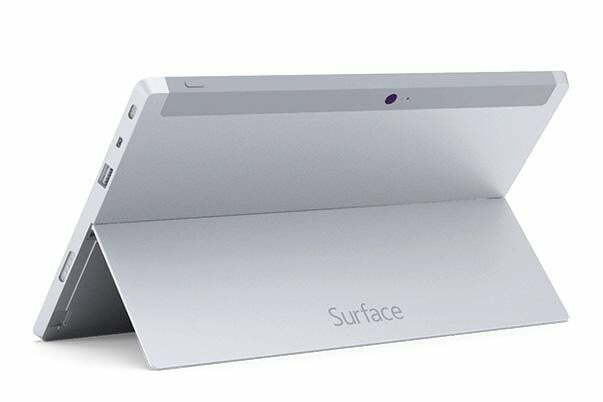 Even the less expensive Surface 2 is said to be between three and four times quicker than the outgoing model. Faster hardware is always a plus. But will it attract consumers that previously ignored the Surface? Not a chance. Sticking a fourth-generation Core processor into Surface 2 Pro, and a Tegra 4 into the Surface 2, is merely what Microsoft had to do to keep up. Anyone who cares about speed will find their attention fixed on a notebook powered by an Intel Core i7, not the i5 that’s in the Surface. We tested the first fourth-generation Core laptop, Apple’s MacBook Air, three months ago. Since then we’ve reviewed eight laptops and convertibles with the new architecture from Acer, Dell, Lenovo, Sony and others. Putting Haswell into the Surface 2 Pro is hardly a surprising move, and the same can be said for the Surface 2’s Tegra 4 processor, which first appeared on the market in spring of this year. 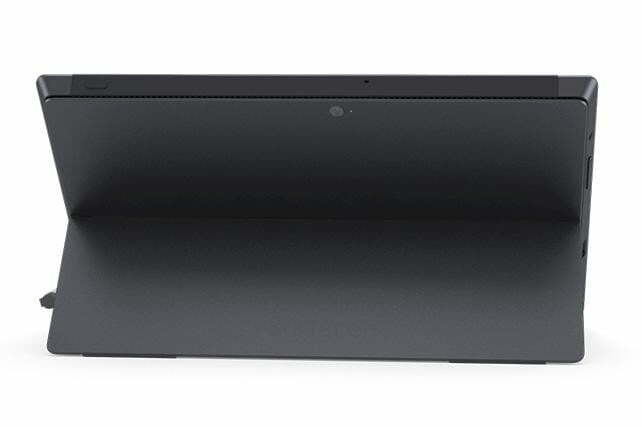 The Pro 2’s hardware is similar to many Ultrabooks, including some that are less expensive; Acer’s Aspire V7, for example, offers a Core i5-4200U for $800, a Benjamin less than the Surface 2 Pro. Even its 7-8 hour battery life may not impress. We’re routinely obtaining over 10 hours of light-load endurance from competitors. We don’t know if the revised Surface tablets can beat that, but even if they do, their margin of victory is unlikely to be significant. In short, the performance pitch falls flat. Anyone who cares about speed will find their attention fixed on a notebook powered by a Core i7 quad. As for the $450 Surface 2, well, it’s even more hopeless; consumers will scratch their head, wonder what a “Tegra” is, and then buy the iPad. The Surface tablets need a killer feature. They have to do something, anything the average user cares about, and do it better than notebooks, convertibles, or tablets alone. So, what has Microsoft come up with? Keyboard covers. Lots of them. There’s the Touch Cover for people who hate good keyboards, the Type Cover for people don’t, a Type Cover with battery for better portability, and a docking cover for people who need ports. 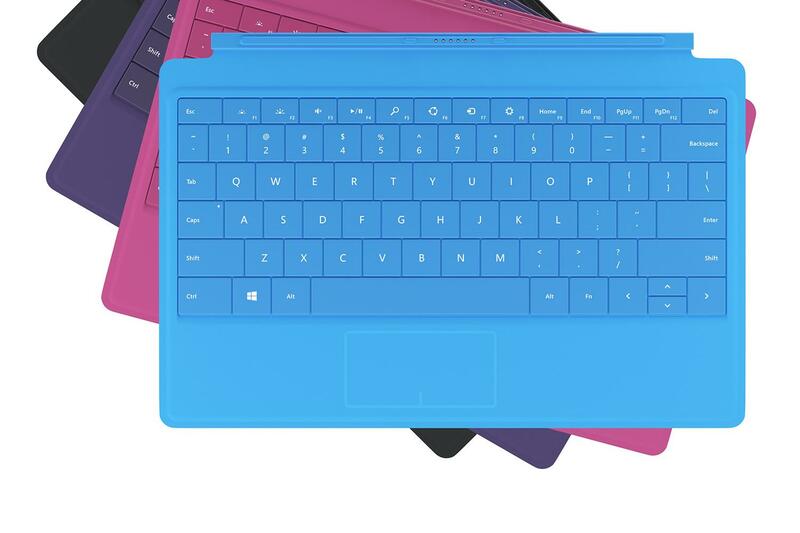 All of them can be had in multiple colors, and all of them work with both the Surface 2 and Surface 2 Pro. To geeks, this might sound great. But what about our consumer, still wandering the isles of Best Buy? Do they care about the keyboard? Nope. Imagine the look on the average buyer’s face if a salesman walked up to them and started to pitch Microsoft’s keyboard add-ons. “How much does it cost?” our consumer questions. Let’s assume that, despite the lack of initial appeal, our theoretical consumer is still interested in one of the Surface models. Now perhaps they’re starting to use it on the store floor, getting to know what it can and can’t do. And, of course, they run into Surface’s biggest problem: Windows. Let’s start with the app store. 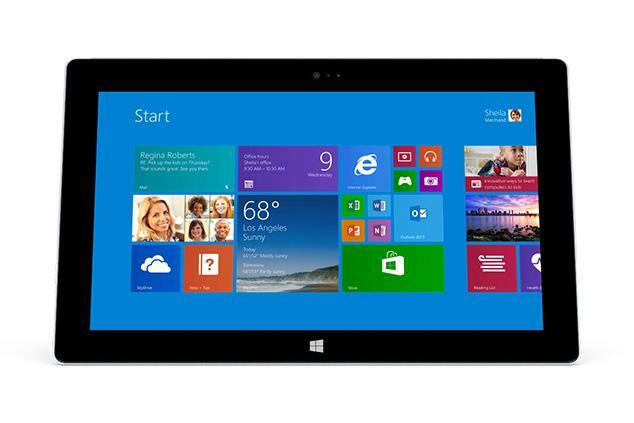 Microsoft claims that 100,000 apps are now available for Windows 8, a 10-fold increase from last year. We don’t dispute the numbers, but a glance at the Windows Store shows that it still isn’t up to par. Want an official Facebook app? Sorry, doesn’t exist; you’ll have to make do with a third-party app. Same goes for Instagram, Pinterest, Vine and many other social networks. Want a Podcast app? You have one choice. Want to record audio? You have a handful of options, only half of which have above a three-star average review. Want a weather radar app? Take your pick of the two available. YouTube app? You’re kidding, right? And there’s still a ton of trash. Go beyond the top few apps in a category and you’re likely to run into dubious third-party apps for popular social networks, apps that infringe on copyright, or apps that (according to user reviews) just don’t work well. Compared to Android, or iOS, it’s a mess. Fans will point out, of course, that there’s no need for a Facebook app because you can simply access Facebook via Internet Explorer. But reality is a bit more complex. Consumers using the Surface 2 or Surface Pro 2 will notice how the browser feels slow and skittish compared to an Android or iOS device. They’ll notice how websites usually default to a desktop view, and are thus hard to use. And they’ll notice that any software that runs via the desktop is not optimized for touch, yet the (optional) touchpad is terrible. These flaws are part of the Windows 8 tablet experience, and the Surface tablets do nothing to minimize them. Indeed. Computers are not cool, and they’re not cool because Microsoft doesn’t understand what consumers want. The company drones endlessly about choices, power, and Office. Consumers, meanwhile, want a product that’s capable, yet also accessible and enjoyable. They’ve already heard Microsoft’s rallying cry of “productivity!” and said “no thanks.” There’s no reason to think shouting it louder a second time will change anyone’s mind. How does the Surface 2 stack up against the Surface RT?